For any bride planning a wedding, inspiration boards are one of the most useful, not to mention pretty ways to help imagine your wedding. That's why I know you'll love Style Me Pretty's The Style Circle, a community of fabulous. It's a place where brides, grooms and wedding junkies can rub elbows with one another, inspiring perfect wedding details and forever chic ideas. One of the many features I love at The Style Circle? Their user friendly inspiration board maker. What better way to spend a lazy day than browsing through hundreds of user created inspiration boards or sign up and create your own! Everything is SO beautiful!!! 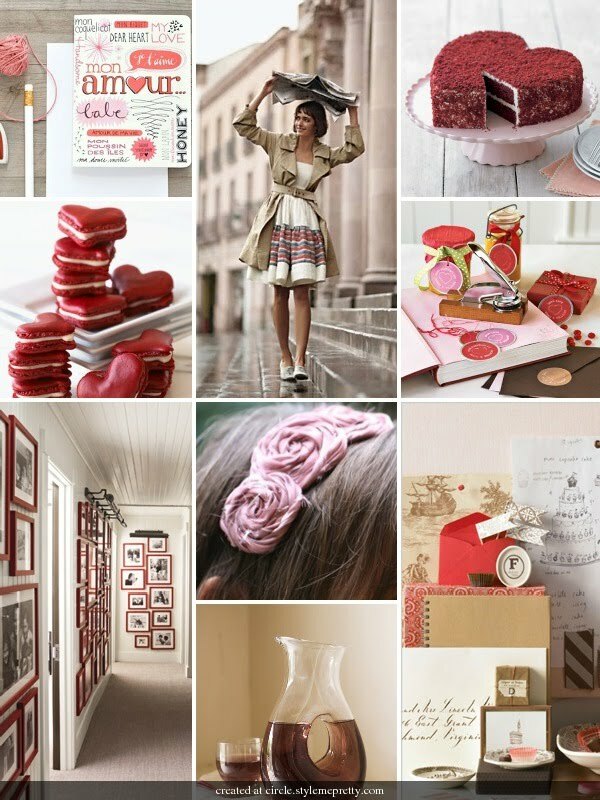 Those heart shaped macaroons, the cake and the Anthro outfit...swooning over! i know! it makes a subtle yet powerful statement!